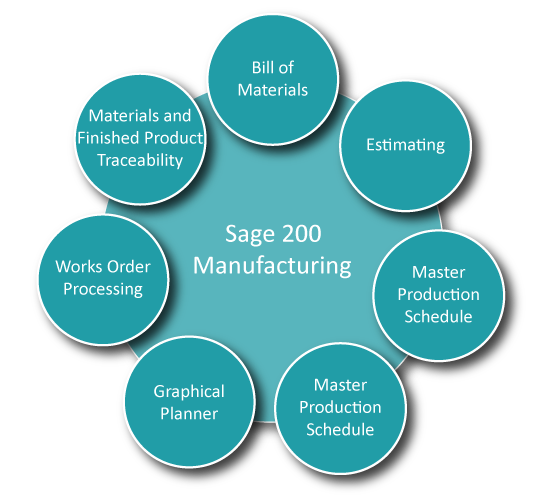 Sage 200 Manufacturing is a powerful, manufacturing solution that controls your whole manufacturing process and integrates into the Sage 200 suite. Manage your entire supply chain in detail, end to end, giving you the information needed to manage and control your business more effectively, whilst maintaining maximum productivity and increasing customer satisfaction and profitability. Sage 200 Manufacturing improves your competitive advantage be enabling your business to be more agile. Share information across your whole business so you manufacturing staff get complete visibility of your entire production process, from original sales order to order processing and work in progress to finished goods in the warehouse. Sage 200 Manufacturing gives you the visibility to see the real-time status of orders in progress and which are next in line, making your business run more efficiently saves time and reduces mistakes across your business. Micross Logic are an award winning Sage Platinum partner that are accredited and experienced specialists in Sage 200 Manufacturing. Micross Logic’s expert consultants will guide you through the purchase and implementation of Sage 200 Manufacturing and then provide ongoing support, enabling you to focus more on growing your business. Create detailed BOM’s for all manufactured products, no matter how many components. Check if you have sufficient stock and identify shortages. Produce estimates for one-off items or non-repetitive batches, as well as create works orders, BOMs or sales orders from the estimates. Control production planning, works order processing and resource management with full traceability. Read demands and schedules for production of finished items and sub-assemblies. MRP links with MPS, generate recommendations by exploding demands through the BOM levels to produce ‘make’ or ‘buy’ recommendations. Assess potential changes to production. Produce plans that show how changes, such as adding overtime would affect deliveries. Produce flexible schedules that work from a start date or due date. Produce parts using components from BOM’s or estimates. Works orders can be created automatically from MRP recommendations or entered manually, stock levels then automatically update. Track material from receipt through your complete production process through to despatch, no matter how many locations or components you use.